Unusual and cute – worth collecting. It’s great to find bags this old that have survived in such wonderful condition! The hardware is really shiny and bright but, of course, reflects shadows. The purse on left was handmade with a needlepoint cover, mounted on purchased hardware. 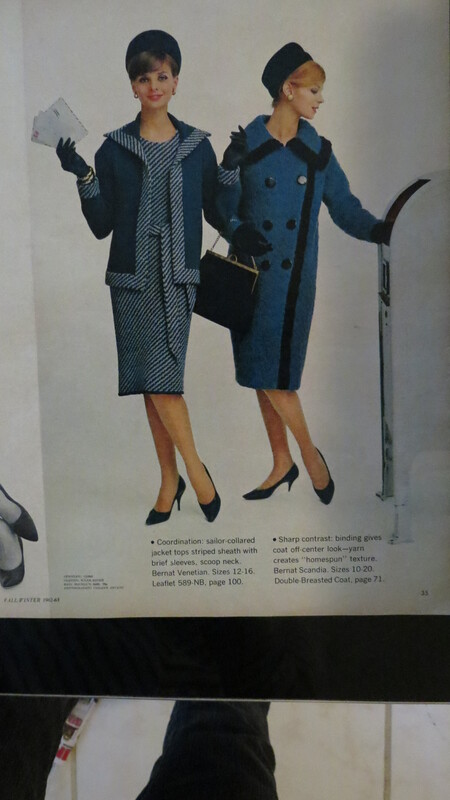 Up through the 1960’s, many women made purses this way because the kits were easy to buy and a perfect way to make a bag that exactly matches an outfit – especially when so many women were home-sewing their wardrobes. I’ve seen them in all styles, including late mid-century macrame’. 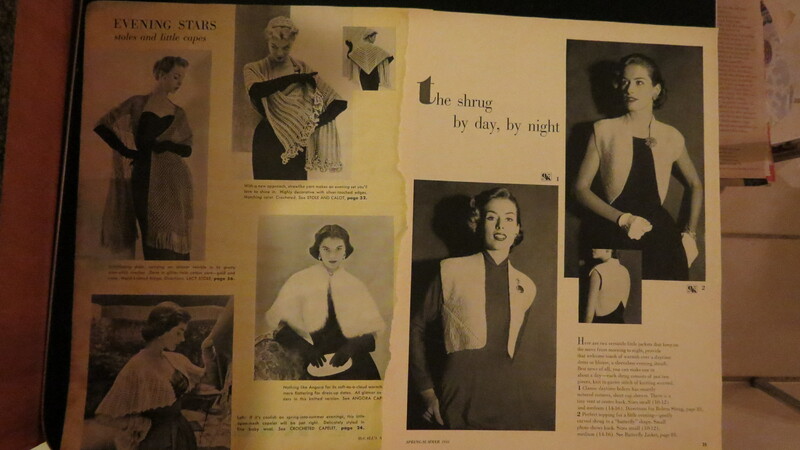 The handbag on right is a commercially-made style by the CARA brand-name. Pretty standard on the inside with a satiny rayon liner and zipper compartment – beyond the excellent condition, the deciding factor for me was the hardware design. Isn’t that a lovely infinity coil along the top? Still good for many years of service, and wonderful along with just the right outfit. I’ll have fun with these – can never have too much of that . . . . . . . . . . . . . . . . . . . . . . . . . . . . 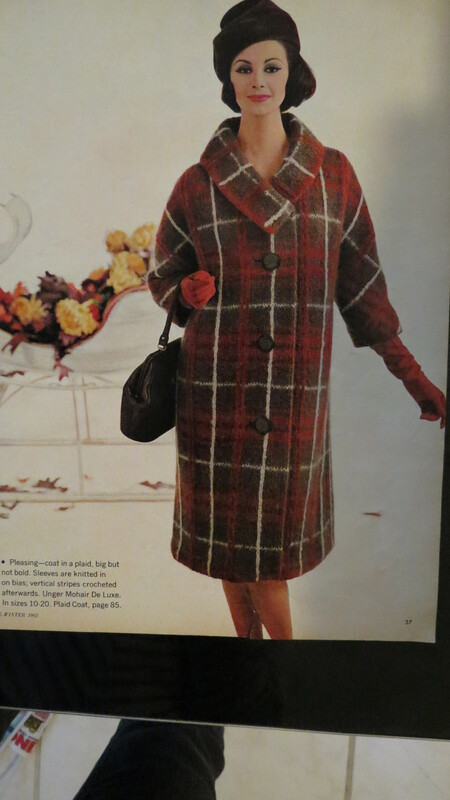 TRUE VINTAGE MID-CENTURY FALL COATS & JACKETS TO MAKE AT HOME! Need a new coat? Well, in just a few minutes of your spare time . . . . . . Right! 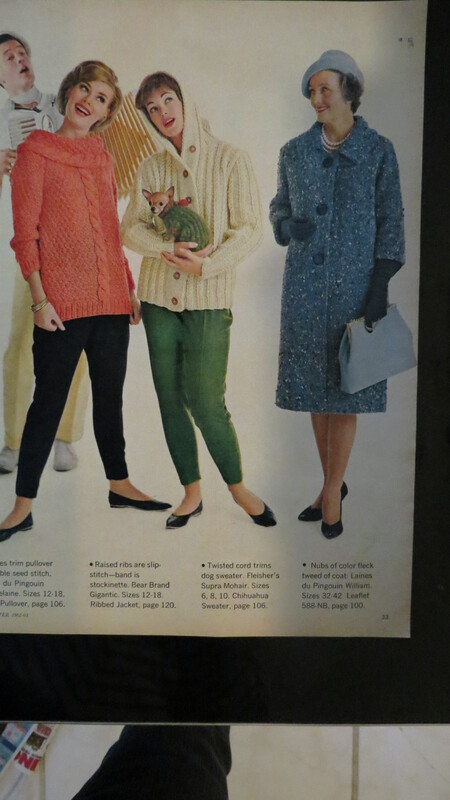 McCalls Needlework Magazine used to publish patterns for projects like these all year. In the 1950’s and 1960’s it was so common. Aren’t they beautiful? – But, can you imagine making one?? Your grandmother might have. I rarely find a hand-knitted one now, but once in a while . . . .
With all the graduation parties going on and the weddings coming up, we’re sure to need little cover-ups like these for the cool nights. Despite the hot days in some places, it’s still Spring! 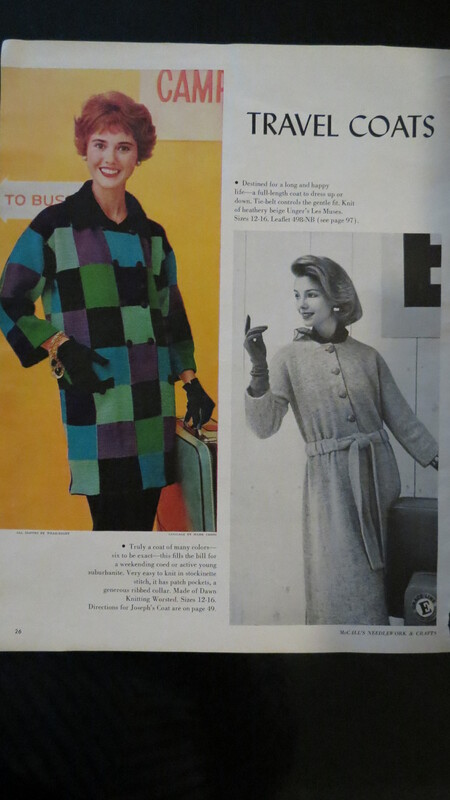 Well-dressed ladies in 1956 loved pretty “wraps” to wear over their dressy finery at times when a jacket or coat just wouldn’t do. 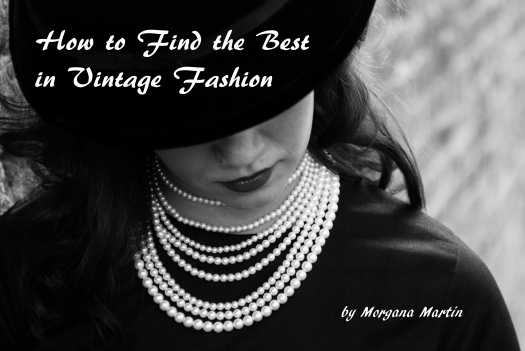 What could better than to pick the perfect style, material and color for your own custom-made accessory? Skilled needle-workers could whip up one of these in no time. Inspired? . . . . . . TRUE VINTAGE 1950'S HOME-SEWN SHIRT WAIST DAY DRESS. A VERY PRETTY TRUE VINTAGE DRESS, HOME-SEWN IN THE 1950'S. A SECOND VIEW OF THIS 1960'S SUMMER SHEATH DRESS.